In this article I will show you how you can play video poker, one of the most entertaining card games free – at a real money gaming destination. Video poker was invented to attract poker fans into casinos. Its rules are inspired by the ones of Five Card Draw, a highly popular poker variant played by millions both on- and offline. 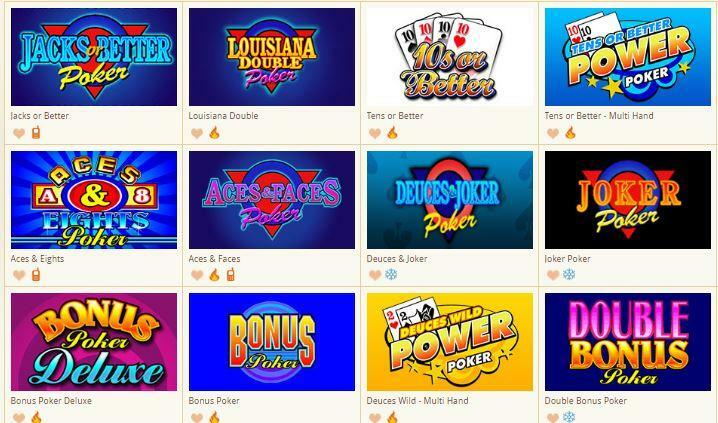 Video poker is basically its single-player version, with the same rules, but no pot – players are rewarded with credits based on a pay table instead. To play video poker, you’ll have to know the basic rules of poker – like card and hand rankings – and the rules of Five Card Draw. These are easy to master – a quick Google search and a few minutes of reading are usually enough. Video poker has several variants, with minor changes to its rules. Check out the list at Royal Vegas Casino. Once you give it a try, you’ll see that the game is very simple to play. The computer does all the work: it deals the cards, it holds the ones it thinks are valuable, it deals after you discard them, and it evaluates the hand afterwards. But you are in control of each hand: you can override the computer’s choices at any time, deciding which cards to hold and discard, and if you attempt to double your winnings, or take them as they are. Playing for free at a real money gambling establishment might sound like a contradiction of terms, but let me assure you it’s not. It’s actually a service offered by gambling portals to allow their players to learn how to use their interface, or simply play for fun whenever they like. To play at the Royal Vegas online casino, you’ll have to create an account first. This is a simple process: head over to the Royal Vegas website on your PC or smartphone, choose “Sign Up“, fill out a form and submit it. The form will ask you about your name, address and phone number, but no banking details – you won’t even need this unless you want to switch to “real play”. And this is one of the main reasons I recommend playing at real money gaming sites, even if you play for free: they always keep your personal details safe. Their business literally depends on it. Once you have finished registering your account, and you have confirmed your email address, you can log on to the Royal Vegas and start playing. No matter which platform you choose – download, browser, or mobile – you can log on with your username and password, choose “practice mode” when prompted and dig in. This is a guest contributor post.